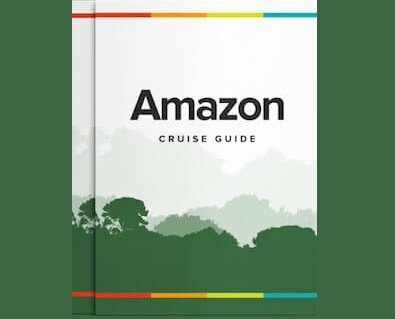 Both Brazil and Peru, our two main Amazon cruise destinations, are fast gaining international recognition for their vibrant and ever-evolving cuisines. In both countries, the biodiverse rainforest gives rise to an astonishing variety of fresh and exotic ingredients, many of which are relatively unknown outside the region. Here we’ve provided an overview of the typical ingredients and dishes that feature heavily in the Amazonian diet, as well as of the sorts of mouth-watering meals you can expect to enjoy on a river cruise. Given the sheer size of the Amazon River and its tributaries, it's unsurprising that freshwater fish forms the main source of protein in the Amazonian diet. The sheer variety of fish to be found in the region is almost limitless, but there are some firm favourites that are particularly flavoursome and have long been considered mainstays of the region’s cuisine. In Peru, the paiche (one of the largest freshwater fish in the world) is a very popular and filling option, with a meaty texture not dissimilar to steak. Catching one of these prized fish can be enough to keep a large family going for an entire week. Other exceptionally delicious fish to watch out for include the pirarucu, the tambaqui, the jaraqui and the surubim. All the fish you’ll encounter in the Amazon will likely be extremely fresh and flavourful. You’ll typically encounter fish in a wide variety of forms and dishes, either grilled, fried, steamed, or blended into a myriad of different sauces and stews. Combining fish either with tomatoes, coconut milk or tucupi (a yellow sauce made of manioc juices popular throughout northern Brazil) is also very common. Patarashca is one highly renowned dish, consisting of fish grilled with a variety of vegetables such as onions, tomatoes, chilies and coriander, all wrapped and cooked to perfection in a large bijao leaf. Also keep an eye out for Tacacá, a delicious shrimp soup from the Pará region of Brazil often served as street food. See our Best Known Fish Species in the Amazon post for more information. A wide variety of filling meat dishes form another popular staple of the Amazonian region. In Brazil, maniçoba, is a dish made from the leaves of the manioc plant (which need to be simmered for seven days to remove poisonous hydrocyanic acid) combined with various pieces of bacon, sausage and other types of salted pork. Perhaps the most famous dish of the Brazilian Amazon is the distinctive pato no tucupi (duck served in exotic-tasting tucupi sauce), a traditional local favorite especially popular during holiday periods. The duck is roasted, shredded and cooked with garlic, chicory, basil and tucupi, and then served over rice with hot pepper and a sprinkling of fermented manioc flour. Meanwhile in Peru, you’re bound to come across the Juane, a speciality popular all over the jungle region. Whilst not always made with meat (fish and veggie-based versions are common to) this not-to-be-missed dish typically consists of chicken, rice, olives, hard-boiled egg and turmeric all tightly wrapped in banana leaves, left to boil and often served with fried plantain. There is also plenty of Cecina (pork) and Suri (jungle worm). See our post for more information about Peruvian Food on an Amazon Cruise. Plantains and manioc, two starchy root vegetables, are staple ingredients in Brazilian and Peruvian diets. Plantains are an unripe fruit similar to bananas, though not sweet, and can be cooked by steaming, boiling or frying. In a savory dish they have a similar texture and flavor to potatoes. Tacacho is a speciality of Iquitos and the wider Peruvian Amazon, which is very popular at breakfast time. It’s made with sliced grilled plantain mashed with chorizo, fried pork fat and plenty of salt which is then shaped into patties. Plantains are also popular in a wide variety of desserts, often fried and combined with sweet fruits. Manioc, also commonly known as cassava or yucca, is another ubiquitous vegetable of the region. Traditionally, it’s acted as the main source of carbohydrate for Amazonian people, filling the niche of the potato. Manioc is a core component of many popular dishes such as maniçoba and pato no tucupi, Brazilian specialties highlighted above. You’ll also find this delicious ingredient served as large succulent fries, in stews or thinly sliced as a great snack alternative to chips. Last but certainly not least, the Amazon jungle is filled with a huge number of sweet, succulent and exotic fruits used to make a wide variety of colourful drinks, desserts and sauces. Some are more widely known than others. For example, Brazil’s antioxidant-loaded açaí berry has gained worldwide notoriety as a superfood. Meanwhile, many other fruits such as the acerola, the graviola or the cupuassu, remain relatively unfamiliar to most outsiders. In Peru, one of the most popular fruits is the camu camu, which contains an astonishing amount of vitamin C. The passion fruit (traditionally known as the maracuya) is another highly popular traditional jungle fruit, with its leaves often being used to make a comforting tea renowned for its health giving-properties. Also keep an eye out for the delicious guarana, cherimoya, as well as the juices of many dried palm fruits. In addition to these exotic species, you’ll find a wide variety of non-native fruits are also available, including mangos, pineapple and oranges. All these fruits are used to make cocktails, ice-creams, breakfast juices, and even incorporated into savory dishes to create exotic and unexpected flavour combinations. Read our Top 7 Superfoods of the Amazon for more information. Aboard a river cruise you’ll have the chance to sample many of the above traditional Amazon foods, as the chef’s strive to deliver an authentic menu full of many of the region’s tastiest and most popular dishes. You can expect to encounter a variety of fish, meat and vegetable dishes, all prepared using fresh locally sourced ingredients, along with plenty of fruits. There will also be a host of more familiar international dishes available, like pasta, breads and eggs, ensuring that a wide range of choice and something to suit every palette is available at all meals. Chefs are also able to work with any dietary requirements if notified in advance. We hope this has whetted your appetite for the mouth-watering cuisine of Amazonia in anticipation of your river cruise! Contact us if you’d like more information about the food you can expect to eat on a cruise or when traveling in the Amazon region.